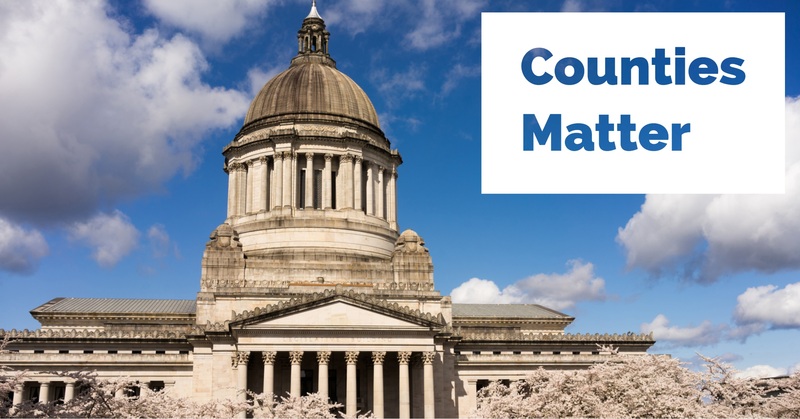 The following email was sent to members of the Pierce County legislative delegation urging them to help support funding for public safety and justice in this year’s supplemental budget. As co-chair of the Legislative Steering Committee for Washington counties, there is much to be grateful for in both budgets. Thank you for including a study comparing the constitutional and statutory responsibilities with county resources. We believe this will provide an important foundation for next year’s biennial budget conversation. We also appreciate the significant investment you make in the state’s behavioral health system (including the BHO/ASO crisis service/non-Medicaid reserve), and in responding to the opioid crisis, which will have a positive impact on the state’s criminal justice system operated by counties. Funding for watershed restoration and enhancement is also important to counties as we continue to implement the state’s planning responsibilities. However, given the influx of $1.2 billion in new revenue this biennium we had hoped to make some progress restoring local government funding. 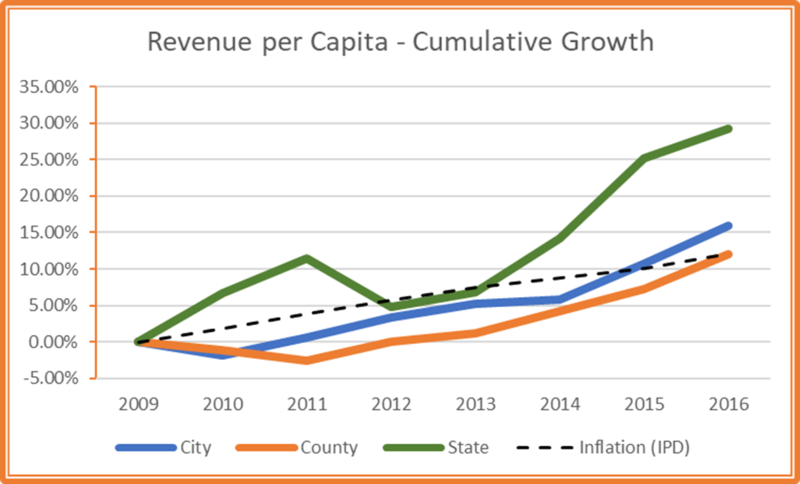 As you can see in the graph below, while State finances have more than recovered, counties are only now recovering from losses during the Great Recession. Paired with new mandates and reduced support from the State, county government remains unable to adequately fund public safety and criminal justice obligations. For example, the Pierce County Sheriff Department remains 60 FTEs short of its needs to serve unincorporated Pierce County. From 2008 to 2017 the number of commissioned officers per 1,000 residents in unincorporated Pierce County decreased 9.2%. This despite the fact that Pierce County diverts 25% of its Road Fund to the Sheriff Department, the most in WA several times over. I hear constantly from our shared constituents that these staffing levels aren’t acceptable and I agree. Our criminal justice system handles more felony charges than King County with half the prosecutors, public defenders, and judges. Washington ranks dead last in state support for criminal justice services — a fact that disproportionately lands on Pierce County. A number of you helped us bring awareness of the need and constitutional obligations of the State on indigent defense through HB 2687. Unfortunately, despite a very positive reception in Judiciary committee, the bill did not receive a hearing in Appropriations. We’re still hoping that there’s some way to make a little progress this year on the floor or in deliberations between chambers. Improvement in the State’s share of criminal justice financing will find its way back onto the streets in the Sheriff Department and behavioral health programs. Our association’s members are beginning to ask ourselves if we can’t make progress this session, at this point in the business cycle, with that much new revenue, will that day ever come? I know it’s enough of a priority for many of you all that there still may be time to shift the conversation. Anything you can do in your respective caucuses would be appreciated. I’m at your disposal if I can be helpful in any way.